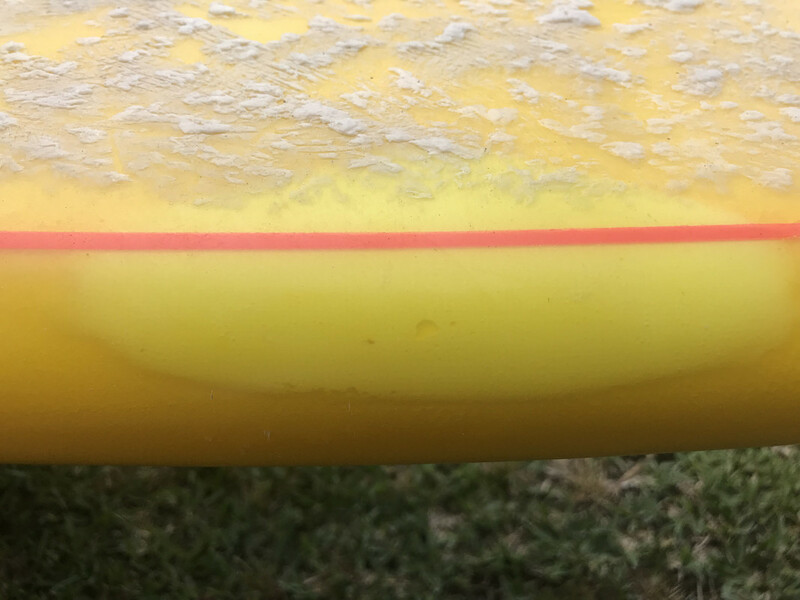 This is probably a nick Carroll question but - why the channels running so far up the board? Just seems that unless you’re winding the board out at top speed on a point break then all that’s going to do is limit the board. The Parmenter way of including channels, in the tail only seems more versatile in wave type and turn angles. I find it interesting that Phil's sideways models have the hard edge channels and his customs are rolled. Your channel bottoms are eye-catching, all those angles and spines, yet you don’t like sharp edges, right? Yeah, I don't really like hard-edged channels. 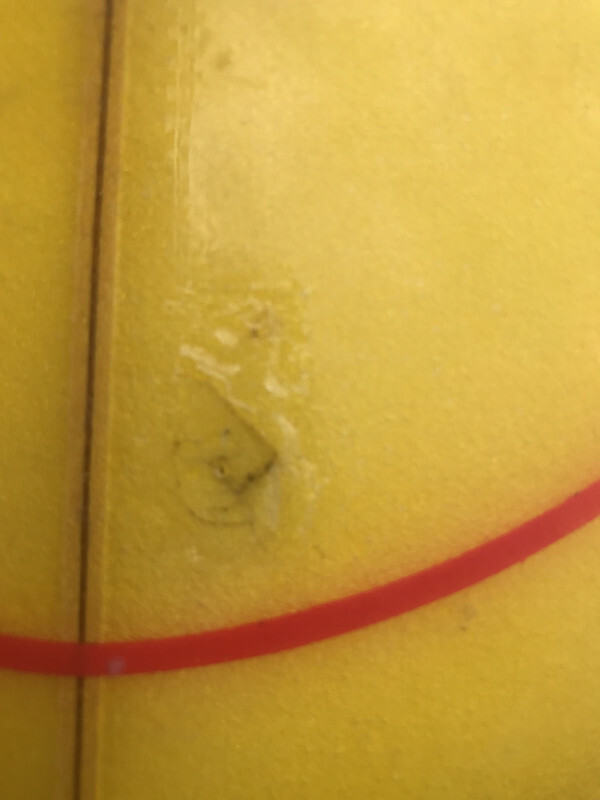 I did a board years back and I resined up the edges and everything to see what the difference was and I didn’t like it. 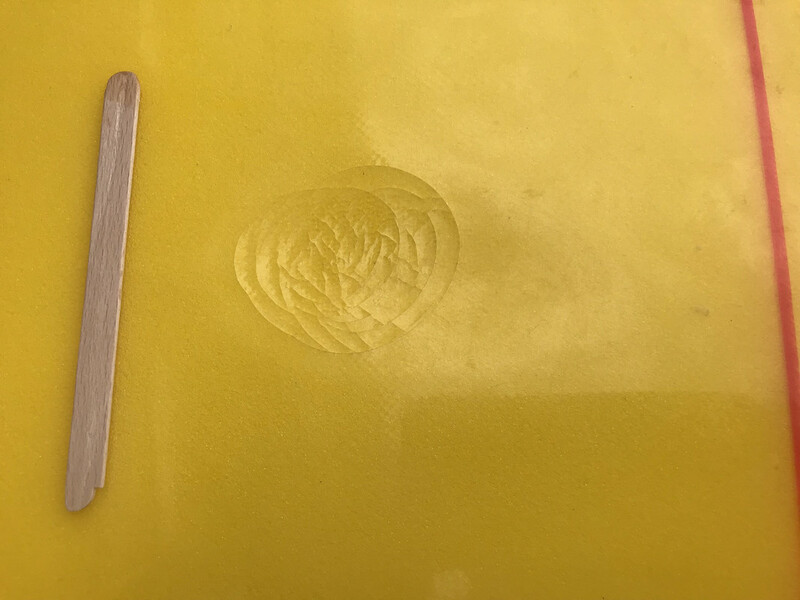 These days, when you run your hand over one of my channel bottoms it’s not hard and sharp anywhere, it’s not like a simple concave of course, but the channels rolls from one to the other, and for me that’s the secret. Nothing dominates the board. 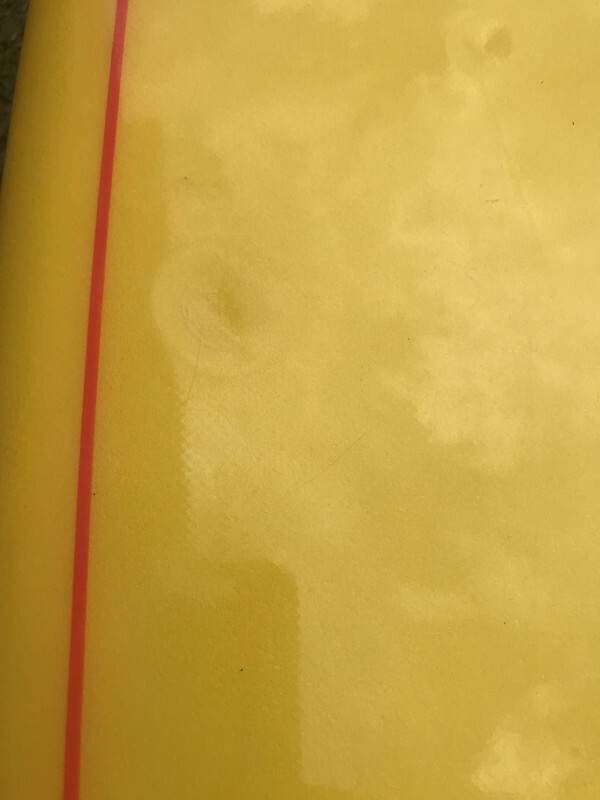 The channels create lift and drive, speed and all the rest of it, and they can feel flighty through the lip, but there’s no catch. Don’t want to let this go but I’ll be selling a few boards to put $ towards a new custom. 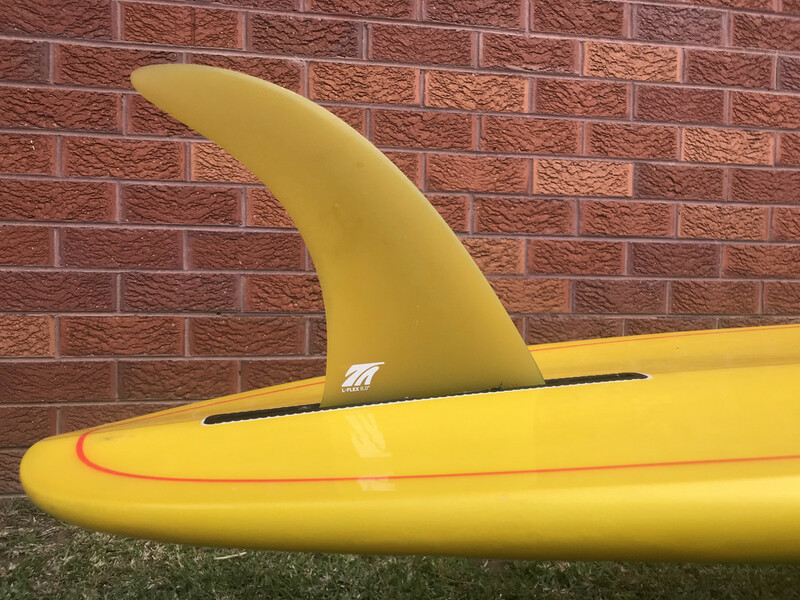 $250 single fin egg including 8’0 flex fin. 6’0 x 20 x 2 9/16. Deep single to double concave into spiral vee exiting the tail. smooth, lively, and user friendly. 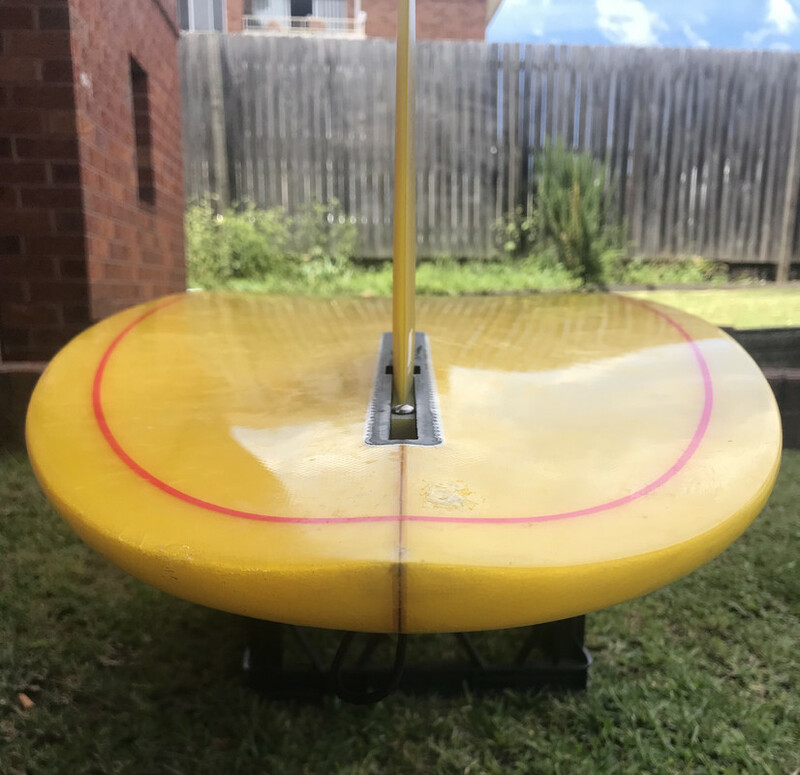 Good condition, dings and repairs as shown, watertight and ready to surf. Last edited by Hatchnam on Sun Nov 25, 2018 2:56 pm, edited 1 time in total. Very nice hatchie. Too small for me though. Post pics when you get your new one. Too small for me now also. 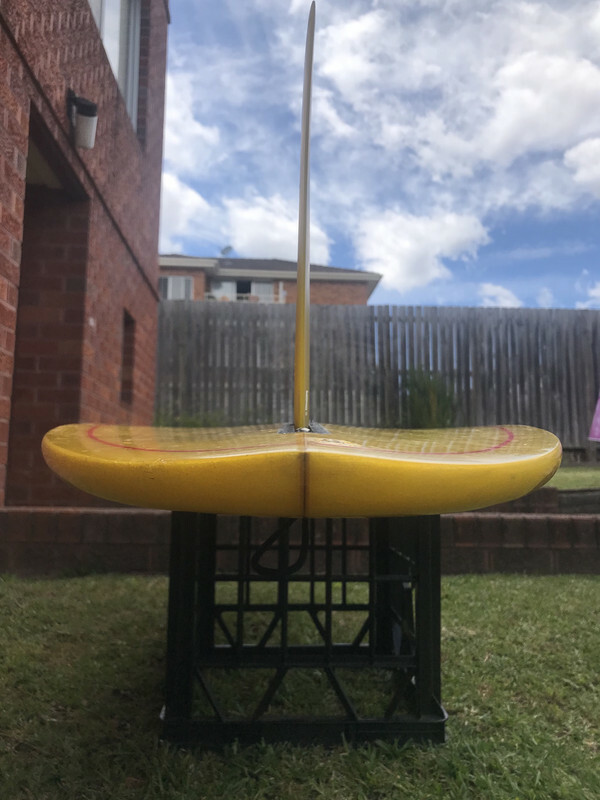 Have had heaps of fun on that board.